Grants are available for the amount of $1 to $250 (not to exceed $250). The current grant cycle will run from January – November or until allocated grant funds are depleted. We will not process any grants in April or December. Please note that only 1 grant per applicant will be awarded per year. Notification of acceptance or denial will be sent through email unless no email is provided, in which case we will send it to you by mail. Starting January 2017 we have a new grant application, please fill out completely. What other Qualifications are there? You must live in one of the following counties in Ohio: Montgomery, Greene, Warren, Miami, Preble, Darke, Champaign, Clark, Shelby, Logan, Butler. Funds are dispersed by the grant committee. You will receive notification by email or mail by the end of the month confirming approval or denial. First priority will go to first time grant applicants, then the remaining funds are distributed to second time applicants. 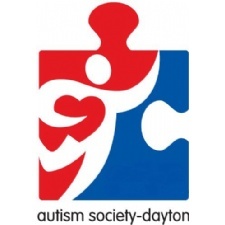 You can access a grant application on the Dayton Autism Society website. The application can be filled in then printed and mailed to 4801 Springfield st, Dayton Ohio 45431. You can also scan and email your application to asadayton@gmail.com, Attn: Grant Committee. PLEASE PRINT CLEARLY! NON-LEGIBLE APPLICATIONS WILL AUTOMATICALLY BE DENIED. On the New application, You Must have the Physician Statement filled out once a year. Your application will not be processed with out it. Also Please fill out the enclosed survey it is important because it provides us with a means to procure additional funds to support the grant program. If you fail to complete and return the survey, it could effect your ability to receive future grants. ACT Today! SOS is a program dedicated to supporting the immediate and imperative needs of those impacted with autism. ACT Today! Grant Programs established in 2005 do provide access to vital and effective treatments for autism through our quarterly grant cycles. AutismCares supports individuals with autism and their families during natural disasters and other catastrophic life events. Autism Care and Treatment Today! ACT Today! is a nonprofit501(c)(3) organization whose mission is to increase access to effective autism treatments. Our goal is to help facilitate treatment by providing the necessary resources including funding, information and referrals to individuals with Autism Spectrum Disorders (ASDs) and their families. All too often, parents of children with ASD incur unexpected and immense out-of-pocket costs for treatments and services. Through the generosity of foundations and, sometimes, public funding, applicable grants might help parents offset these costs. The Autism Consortium has compiled a list of grant opportunities. Be sure to read each option carefully and understand that specific criteria pertain to each. Autism Escapes will serve as an Angel Network for families of children with autism. Its primary purpose is to arrange air travel on private jets for families in need of medical care for their children. Disabled Children’s Relief Fund (DCRF), a non-profit 501(c)(3) organization provides disabled children with assistance to obtain wheelchairs, orthopedic braces, walkers, lifts, hearing aids, eyeglasses, medical equipment, physical therapy, and surgery. Edwin Phillips Foundation Provides grants directly to families who have children with disabilities, including physical and cognitive challenges. Funds can be used for more expensive projects or services such as assistive technology or home modifications. First Hand Foundation is a nonprofit organization that helps children with health-related needs when insurance and other financial resources have been exhausted. Our mission is to directly impact the health status of a young life. Friends of Disabled Adults and Children, Too! Fund It Forward is a volunteer run non-profit organization which believes that parents of special needs children are strong, willing and able to endure daily struggles. Our Mission is to ease the burdens of families with special needs children by raising money for adaptive equipment not covered by health insurance. Looking for an iPad? The Autism Society can help! Courtesy of the Autism Society’s contact center, Autism Source, they have put together a list of organizations that offer grants and other assistance for individuals with autism who would like to purchase an iPad. In addition, Special Needs Apps for Kids has also put together a list of iPad funding opportunities. This program’s grants are designed to provide support to individuals and families affected by Autism Spectrum Disorders. Each grant recipient will receive: two doctor visits with a specially-trained physician who treats autism; vitamins, minerals and supplements for 90 days; a Generation Rescue Rescue mentor; dietary intervention training. The Helping Hand Program provides families with financial assistance in getting necessary biomedical treatments, supplements and therapy services for their autistic child. Lend4Health facilitates community-based, interest-free “micro-loans” as a creative funding option for individuals seeking optimal health. Currently, Lend4Health is facilitating loans for the “biomedical” treatment of children and adults with autism spectrum disorders. Other health issues may be included on Lend4Health in the future. Our goal is to provide iPad’s for families in need. Finances and child’s condition are the deciding factors for Loud Mommy. Applicants will be reviewed by a committee. Supplies will be limited to donations received. MyGOAL Inc. is proud to offer a grant program that will enable families to take advantage of socialization and educational opportunities designed for individuals with special needs. The purpose of the grants is to enrich the body, mind, and spirit of individual(s) with Autism Spectrum Disorders, resulting in a higher quality of life. Our purpose is to provide grants to help children who have speech and language disorders. Our goal is to allow children with communication difficulties the chance to better express themselves. The Olive You Foundation strives to provide children the opportunity to receive assistance to help improve their communication. Find out what is available in your community. Information available on: Children’s Health Insurance Programs, Community Referral, Disability Services, Financial Assistance, Food Stamps, Health Care, Insurance, Legal, Medication/Drug Assistance and Special Needs. We help individuals WIN Social Security Disability Insurance (SSDI) and Supplemental Security Insurance (SSI) benefits. Our informative website provides a wealth of information and support in obtaining SSDI and SSI claims. We have been disability advocates for nearly 40 years and provide an easy and effective way to help individuals successfully obtain disability awards. The TACA Family Scholarship Program was developed to help families who are pursuing treatment for their children with autism, but are struggling to find the funding. We understand how difficult it is to stretch the family budget to include things like, DAN doctors, independent evaluations or conference registration. It is our desire to provide limited financial assistance to qualified families. Under the Enhanced Access to Autism Services Demonstration, TRICARE covers Educational Interventions for Autism Spectrum Disorders for qualifying military families. The demonstration is available in the 50 states and DC to beneficiaries who are 18 months or older, registered or in the process of registering in ECHO, and diagnosed with either Autistic Disorder (AD), Pervasive Developmental Disorder Not Otherwise Specified (PDDNOS), Asperger’s Disorder (AS) or Childhood Disintegrative Disorder (CDD). The United Healthcare Children’s Foundation embraces and supports the concept of facilitating access to health-related services that have the potential to significantly enhance either the clinical condition or the quality of life of the child and that are not fully covered by the available commercial health insurance. This support is in the form of a medical grant to be used for medical services not covered or not completely covered by commercial health benefit plans.